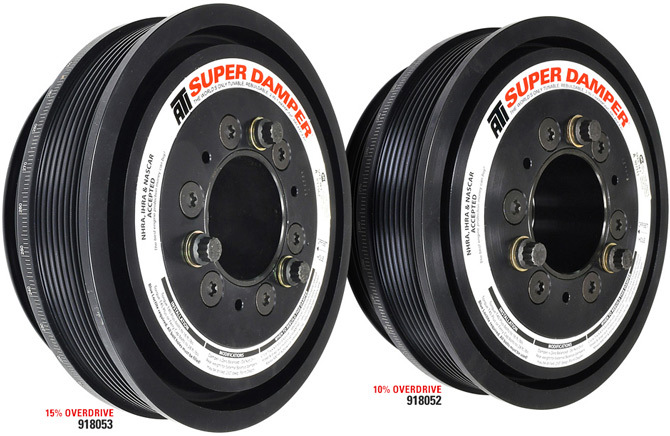 ATI Performance Products, Inc. is proud to introduce two new Super Dampers for the 2011 and newer Ford 5.0L Coyote engine. These 8 rib aluminum shell dampers come with supercharger pulley drive diameters of 7.240” for 10% overdrive, p/n 918052, and 7.795” for 15% overdrive, p/n 918053. The 6 rib, billet aluminum, AC pulley is in the OEM location and is OEM size. The dampers come with laser-etched timing marks, a single 3/16 keyway, and exceed SFI 18.1 Safety Certification. OEM dampers are optimally tuned to a narrow band of “perceived normal driving conditions” and do not perform well outside of those limits. The ATI Super Damper can handle any engine speeds and driving conditions that get thrown at it to better protect your engine. 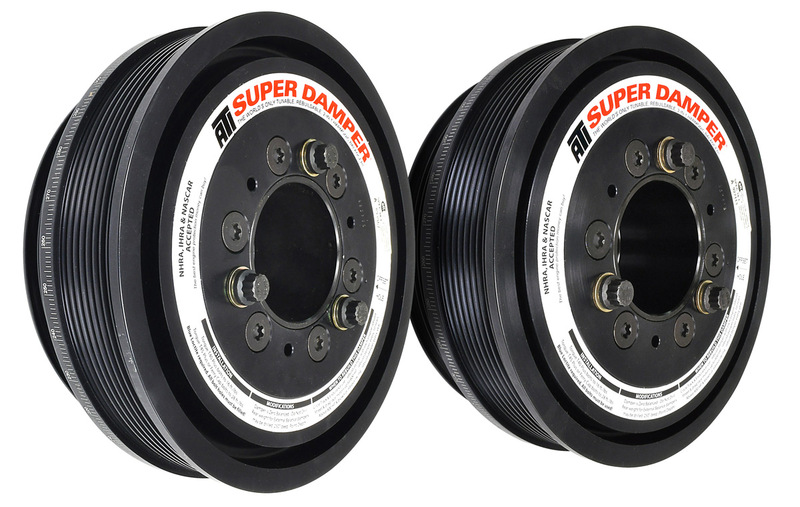 ATI Super Dampers provide balanced dampening of torsional crankshaft vibrations through all RPM ranges especially during competition use.